This is a business friendly accommodation conveniently located only five minutes from the international airport. The Grand Hotel Mercure Alger Aeroport features three food and beverage outlets such as the El Beida, Mu Dan, and El Behdja. The Chrea or Oasis bar is a suitable accommodation for evening beverages and cocktails with friends or colleagues. The on-site swimming pool is available for a little leisure and relaxation. The wireless internet services allow for business travelers to stay connected to the world back home. 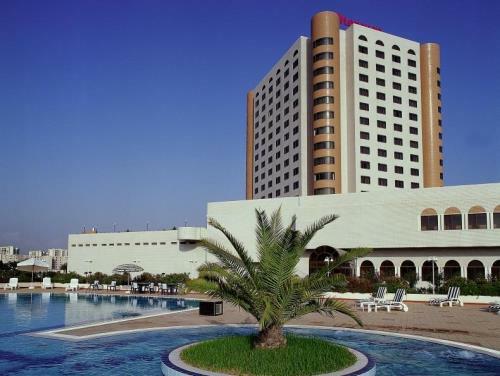 The parking facilities, fitness center, and multilingual staff provide a memorable and hassle-free stay while in Algiers.